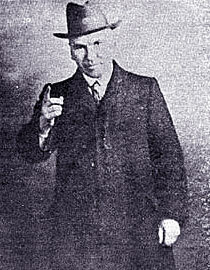 John MacLean was a Scottish schoolteacher and Marxist educator. His Marxist evening-classes produced many of the activists who became instrumental in the Clyde revolts during and after WWI. MacLean was appointed both an Honorary President of the first Congress of Soviets and Soviet Consul to Scotland in recognition of his consistent socialist position on the imperialist war and his tireless work in support of the Bolshevik revolution. MacLean was at odds with much of the British left and dismissive of the newly-formed Communist Party of Great Britain. He had already turned his back on economism and the syndicalism favoured by the Clyde Workers’ Committee, had recognised the nature of British imperialism and come to the conclusion that revolution could only come about through the destruction of the British Empire. He died on 30th November, 1923. All Hail, the Scottish Workers Republic!, subsequently reissued along with Nov 1922 election address.